Water, water everywhere, make your shutter blink, water, water everywhere, show us what you think (sorry Coleridge). This is the round to embrace H2O, whether you’re photographing cool splash art, misty waterfalls and milky seas or you have something meaningful to say about this life-giving substance. 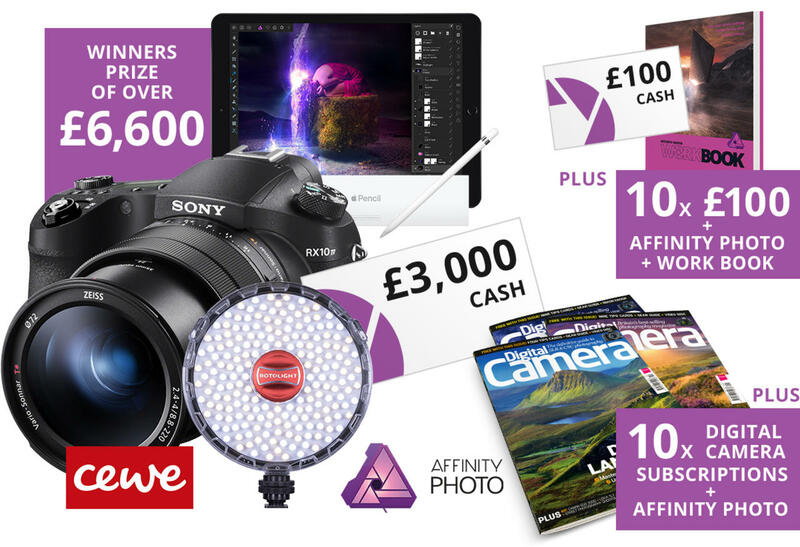 Win prizes from Affinity Photo, Digital Camera Magazine, Apple, Sony, Rotolight and Cewe. The expert judge's chosen winner of the 'Water - 25 and under' contest will win £100 cash and Affinity Photo + Affinity Photo Workbook. The winner of the crowd vote will receive Affinity Photo and a year-long subscription to Digital Camera magazine. The top ten from the expert judge and the top ten of the crowd vote will each receive Affinity Photo.